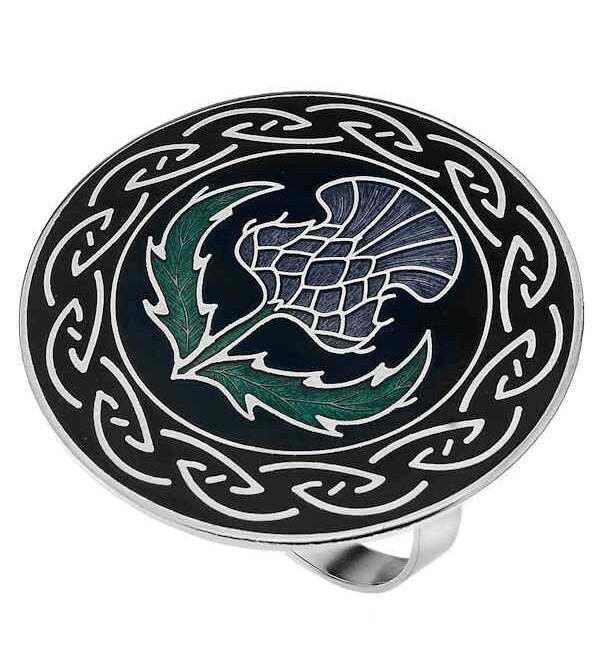 Sea Gems of Cornwall fine vitreous glass enamel Celtic Thistle Scarf Ring. Each piece is fired to 760°C. 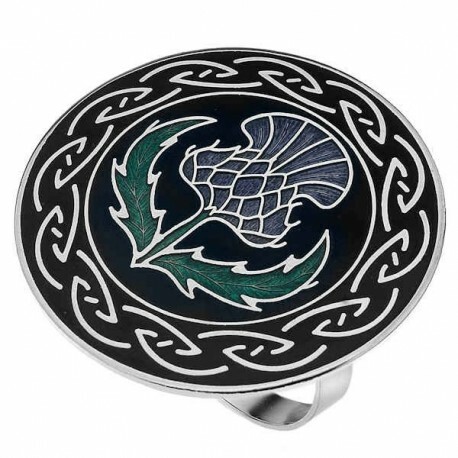 The vibrant colours typify ancient Celtic art.